I tore my ACL at the USA National Ultimate Frisbee Championships in October, and Dr. Cole repaired my ACL with a hamstring graft in November. 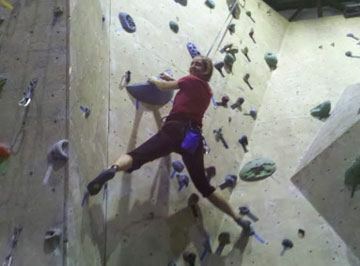 By February I was rock climbing and biking. 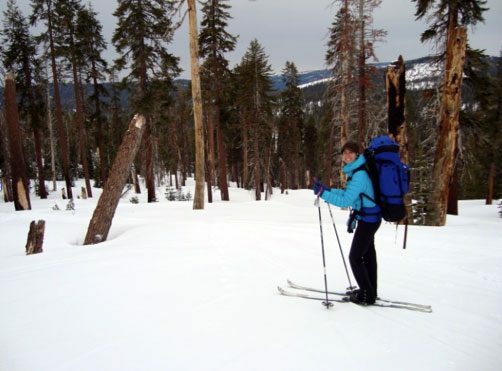 In mid-March, I joined my brother on a two-day, 19-mile round-trip, 2,000-foot change-in-elevation cross-country ski trip to the Ostrander Hut in Yosemite National Park. In retrospect � and actually during the trip � I realized that it was far too early after my surgery to attempt such a feat, especially with a 50 lb. pack on my back. That I would attempt such a trip and not turn around suggests that I probably push myself too hard, but my success is evidence of Dr. Cole�s surgical skills at repairing ACLs. I knew that I would be reprimanded for taking on such an adventure, but after telling me to never do anything like that until after full recovery, I was given a sly smile and told that it was awesome. Having a team of doctors who value an active lifestyle and understand the challenges to keeping an athlete cooped up inside is one of the few things that have made my recovery manageable.